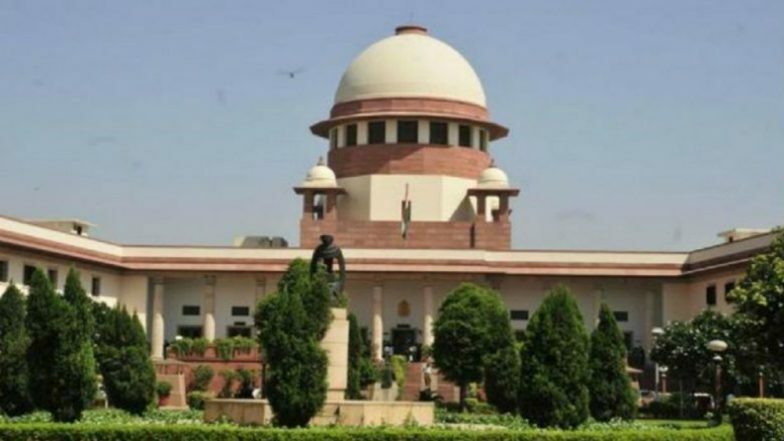 New Delhi, April 12: Lifting the veil of anonymity from the government's political funding scheme, the Supreme Court Friday directed parties to furnish by May 30 all the details of funds received through electoral bonds to the Election Commission in a sealed cover. The top court, which did not stay the Centre's Electoral Bond Scheme, 2018, made clear it would accord in-depth hearing on April 15 the pleas of an NGO and CPI (M) as they as also the Centre and the EC have raised "weighty issues" having "tremendous bearing on the sanctity of the electoral process in the country". Lok Sabha Elections 2019: AAP Joins Hands With JJP in Haryana After Talks Fail With Congress. The court, which was to decide the plea of NGO 'Association of Democratic Reforms' seeking that the issuance of electoral bonds be stayed or the names of donors are made public, opined that the plea required detailed hearing in view of weighty arguments and the counter. Congress to Go Alone in Delhi as Talks with AAP Fail. It also did not consider the plea of the Centre that the purpose behind the scheme was to eliminate the use of black money in elections and the court should not interfere with the policy decision before the elections. Attorney General K K Venugopal had pleaded that anonymity of donors of electoral bonds is to be maintained for various reasons such as fear of repercussions on a firm or an individual if the other political party or group wins. The EC, on the other hand, explained its stand and said that it was "exclusively confined to one of transparency in political funding and not on the merits of the scheme". The court said the scheme has been brought after amending various laws like the Finance Act, the Reserve Bank Of India Act, the Representation of the People Act, the Income Tax Act and the Foreign Contribution (Regulation) Act and it needed detailed examination. "The court, therefore, has to ensure that any interim arrangement that may be made would not tilt the balance in favour of either of the parties but that the same ensures adequate safeguards against the competing claims of the parties which are yet to be adjudicated," it said. The court extensively referred to the objections of EC to the scheme and the changes made in laws. We Want 33 Seats, Not Just 3 if Congress Wants Alliance in Delhi, Says AAP Leader Gopal Rai. "In para...of the said affidavit the ECI has stated that the..., had informed the Ministry of Law and Justice that certain provisions of the Finance Act, 2017 and the corresponding amendments carried out in the Income Tax Act, the Representation of the People Act and the Companies Act, will have serious repercussions/impact on the transparency aspect of political finance/funding of political parties," it said. The NGO has challenged the validity of the scheme and sought that either the issuance of electoral bonds be stayed or names of donors be made public. As per scheme, electoral bonds may be purchased by a person, who is a citizen of India or an entity incorporated or established in India. A person being an individual can buy electoral bonds, either singly or jointly with other individuals. As per the notification, electoral bonds will be encashed by an eligible political party only through a bank account with an authorised bank. State Bank of India (SBI) in the 6th phase of sale, had been authorised to issue and encash Electoral Bonds through its 29 Authorised Branches from November 1-10, 2018.